By comparing the product prices between 3 chemists/pharmacies, David Jones is the cheapest. It is $4.00 (21 %) cheaper than next price leader (Myer). The current price at $15.00 is $4.00 (19 %) more than the historical cheapest price of $12.60 recorded on 2 Nov 2018. 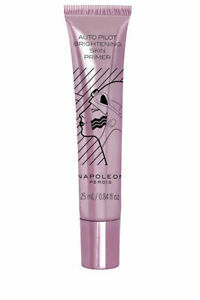 Similar product Napoleon Perdis Auto Pilot Brightening Skin Primer can be found at ebay Australia at $39.00.